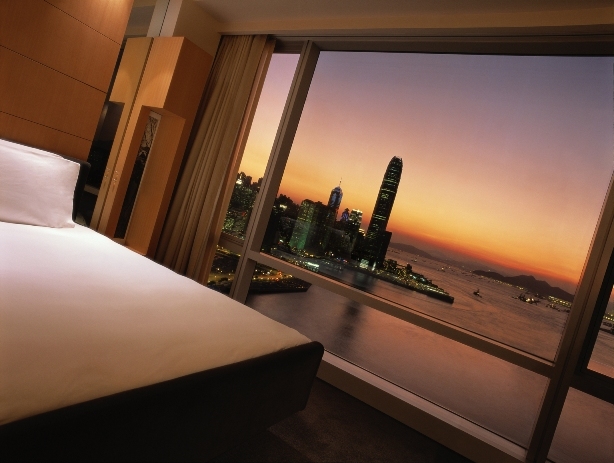 It was the day that refused to end, starting at dawn on an island in Thailand and ending late night on top of a skyscraper in Hong Kong. Thank goodness there was a luxurious massage and steamy bath awaiting in my luxury residential spa suite to recover from all that. 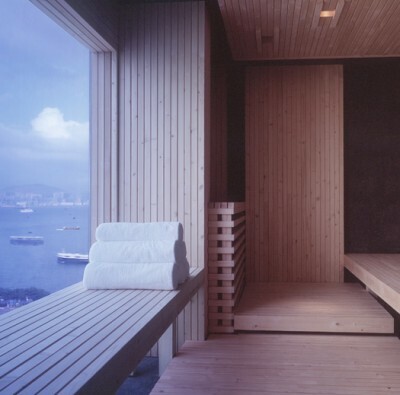 One of my favourite spas in Hong Kong is the glamourous Plateau Residential Spa at Hong Kong’s Grand Hyatt Hotel. 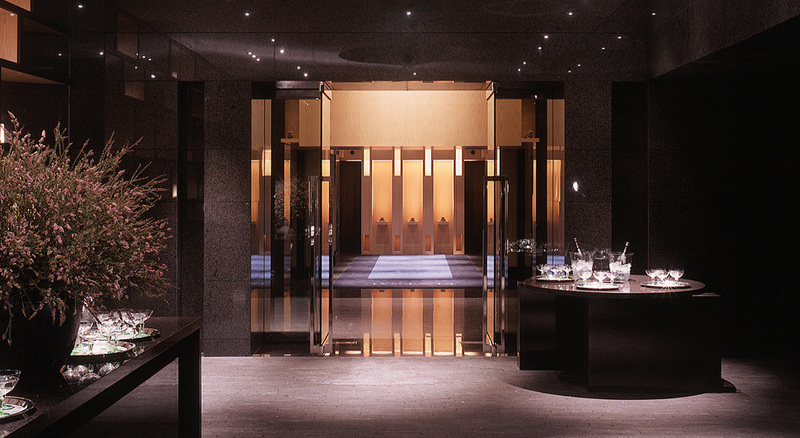 Located on its own wellness floor that encompasses the spa, gym, beauty salon, spa shop, residential spa suites, a private courtyard garden leading out to the pool area that overlooks Hong Kong Harbour, it’s a separate world from the frantic city and even a different plane from the dark, hard-edged glamour of the glitzy black and gold marble lobby eleven floors below. Upstairs at The Plateau, all is hushed and serene, and very luxurious. 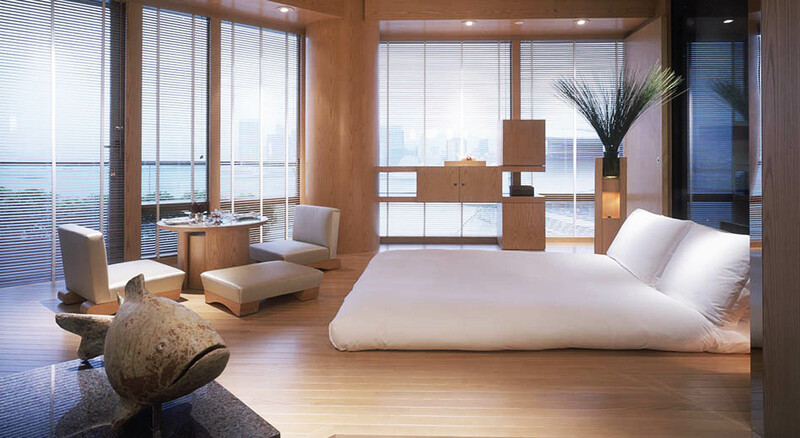 It’s hard to decide which view is more fantastic – the window view overlooking the glittering cityscape outside, or the interior view of my Zen-inspired room with its blond wood floor, futon bed, and a fantastic open-plan bathroom, featuring a black stone bathtub / shower encased entirely in glass in the middle of the room. (The toilet was secreted in a private booth, thank you very much). Imagine an enormous floor-to-ceiling glass cube that looks like a giant fish tank, and that is the bath tub. There’s a round porthole near the top, which functions both as a design element as well as a vent for that allows for air flow while the tub’s occupant is seated in a steamy hot bath inside the tank. Unfortunately there are no photos of this tub as the space makes it difficult to get a good camera angle but when you see it in person, it does make you say “wow!”. It’s stunningly fabulous. Or fabulously stunning. Both. The term “residential spa” means that guest rooms are spa suites designed so that spa treatments are given in your own room. That explains the big vanity counter with salon style seating to facilitate manicures and pedicures, and deep sinks for the therapist’s use to prepare spa materials. The other side of the room looks like this, with big spa vanity counter. There’s that glass shower cubicle again on the right. Yes you are bathing naked in a see-through cube in the middle of the room. My in-room spa treatment was scheduled for the evening, so that I could relax after a long day that had started with an early morning flight from Thailand, a sleepy mid-day arrival in Hong Kong to find my old friend Philip impatiently waiting for me in the Grand Hyatt lobby, where he quickly hustled me to check in, hustled me upstairs to dump my luggage in the room and then hustled me off to an outdoor festival on top of city’s famous hilltop called the Peak. It was a children’s festival and neither of us had children, but Philip said that if he didn’t go, the organizer, who is his friend, would kill him, and if I didn’t go with him to protect him from the kids, he would kill me. So frightening is the brutal cycle of life and death in our fragile social eco-system. (I adore kids be Philip Does Not, and recoiled in horror when we almost sat on an abandoned baby sock on the bus going to the festival). It was a beautiful, cool day. The afternoon on the Peak was cool and lovely, the panoramic view of the sunlit sea was glittering spectacle, and no children molested us. Afterwards we returned by walking the long, loooong walk from the top of The Peak all the way down to the bottom of the hill in the late afternoon. Philip had to rush off to be somebody’s date to a black tie ball (my friend is a popular man and is torn in all directions with social obligations by women who need him), and I was more than ready for that massage by day’s end. At massage time, two therapists arrived to turn my futon into a massage bed, which involved lots of deft folding, unfurling, and changing of bed coverings. I had the signature Plateau Massage, a combination of Shiatsu, Thai and Swedish massage techniques done with a choice of essential oils named Relax, Flow, Detox and Tonic. 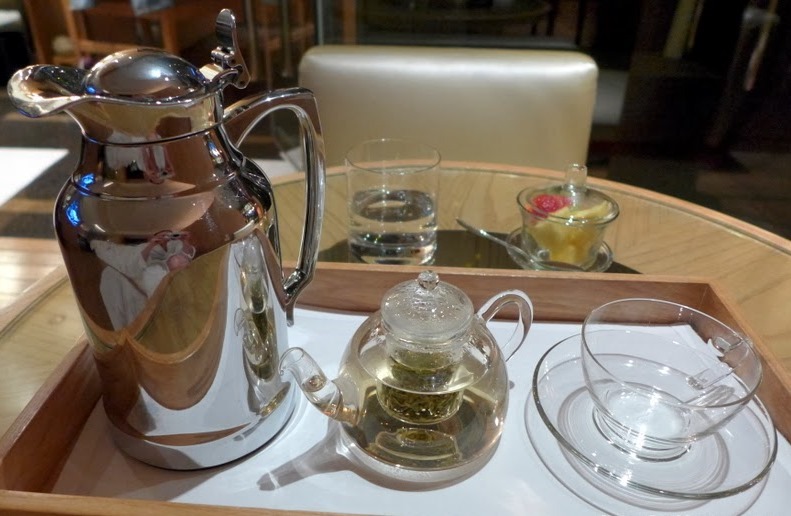 After the relaxing massage, the therapist left me swathed in a heap of white linens on the futon (padded with a feather bed for extra softness) with a tray of herbal tea. She prepared a warm scented bath in the giant aquarium and discreetly left the room so I could soak in privacy. “What are you doing? My husband’s in Hong Kong for a party this weekend, call him and he’ll take you out!” babbled my friend. These people are party animals. I’m even a bit afraid of them. Last time I went out with them I came home with only one earring, I have no idea how, since they were giant sized hoops. It was my favourite pair too, waah. 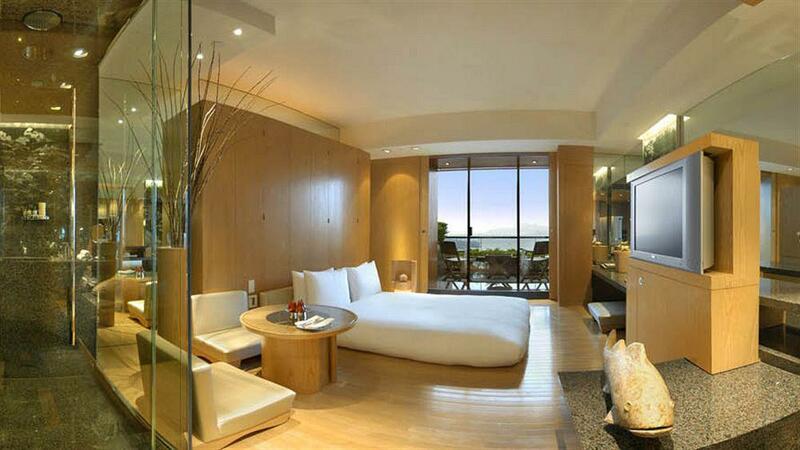 “No no no, I’m staying in to enjoy my spa suite,” I replied and hastily hung up. But my big night in was shattered with another phone call from two more Bangkok friends who were also in Hong Kong for the weekend. “What are you doing? We’re going out!” they blabbered into the phone. “I’m staying in,” I mumbled “you all go on out and let me sleep”. Too late. They were already on the way up, and pounded the door open, threw some clothes on me, and bundled me out the door. Next thing I knew, I was in a rooftop bar on the zillionth floor on top of the World Financial Center with drink in hand, loud music pumping in my ears, people screaming to be heard, and the lights of Hong Kong spreading far, far below. Does this photo look blurry? That’s what it looks like through sleepy half-closed eyes. Nice view and all, but this seemed to be the day that refused to end, even though my batteries had worn out hours ago. I’d woken up that morning at 5.30 a.m. on the island of Koh Samui in southern Thailand to catch the 8.30 flight to Hong Kong, and here I was, late into the night, on top of a skyscraper trying to stay awake. Why wasn’t I asleep yet? Luckily we didn’t stay long but it was only after two bars and one late-night noodle shop later that they dumped my limp body back to my spa suite and I was allowed to collapse into the fluffy white futon. Don’t ask me where we went. I don’t remember the names of any of those places. 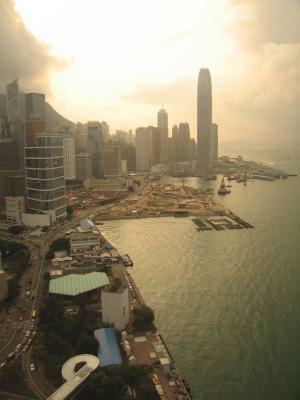 Waking up the next morning to the view of Hong Kong Harbour felt special and exciting. 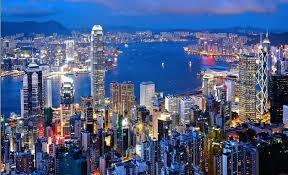 I love the way Hong Kong looks and feels like no other city. Aside from the spa suite, breakfast was one of the favourite parts of my stay here. For Plateau Residential Spa guests, there is a breakfast buffet serving light and healthy food. I had a breakfast meeting with one of the hotel executives in the Plateau’s garden courtyard. 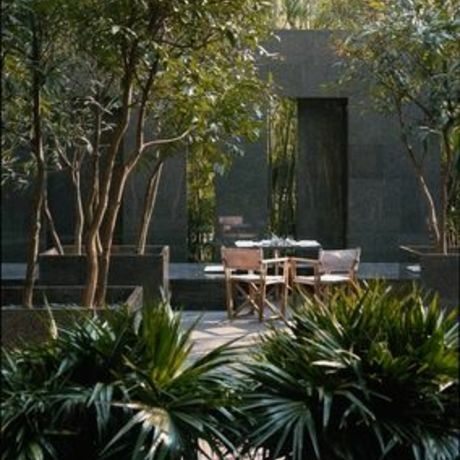 I had my eggs and smoked salmon in the zen tranquility among leafy trees and waterfalls trickling over smooth gray stone. In the crisp November air, it was a perfect way to start the day. It’s easy to forget that this beautiful garden is on top of a roof in Hong Kong. I apologized to my corporate breakfast date for having to meet me on a Sunday morning in her work clothes – she was the perfect professional in her sharp black suit, high heeled pumps and shiny black bob. 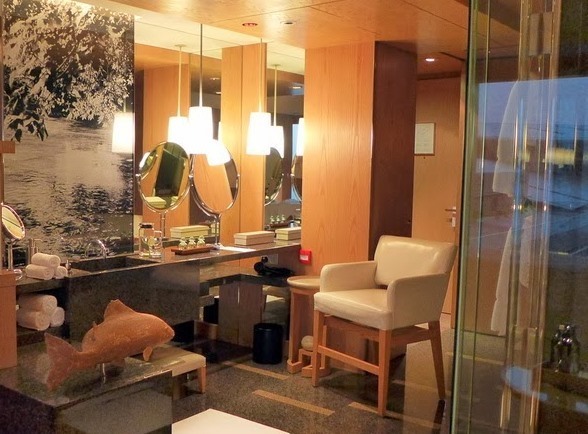 Aside from the residential spa’s in-room service there’s The Plateau Spa with elegant spa rooms and a wide range of spa treatments for non-resident spa guests. 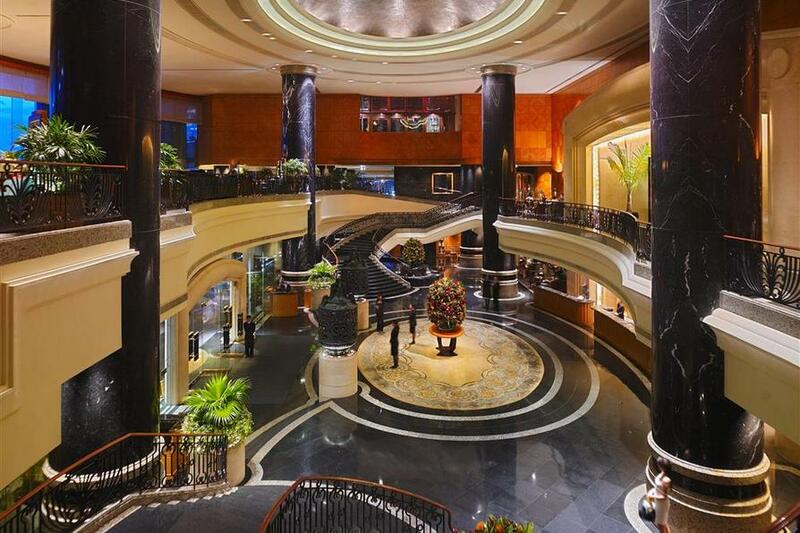 I didn’t have treatments in the main Plateau Spa, but never mind – that gives me something to try on another visit. Next time maybe I should try not telling anyone where I am. 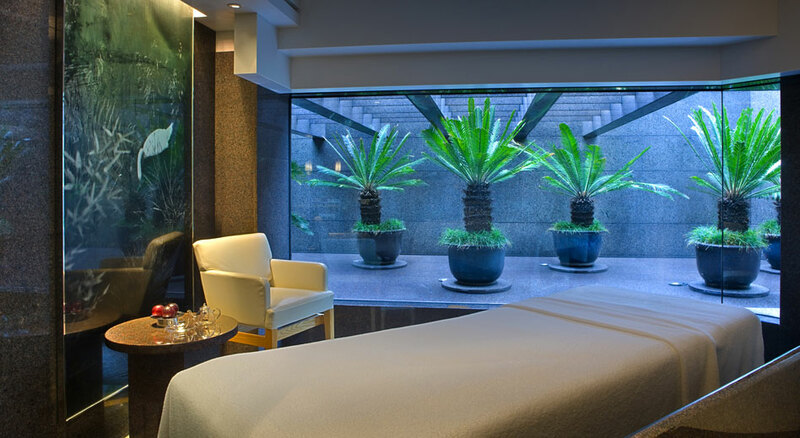 Have you been to The Plateau Residential Spa Hong Kong? How was your experience?